Live performance Erosion - Entropic Action (2014). Martin Renteria, Erosion - Entropic Action. Venice International Performance Art Week (2014). Photograph by Monika Sobczak. Lives and works in Mexico City. Martin Renteria is a multidisciplinary artist and curator working in performance art, sculpture, painting and installation, including spectacular wearable art and machines of his own design. Being a fashion designer, Renteria’s work is also tactile, textural, and temporal. Stripping the quality of a nightmare collapsing constantly as it takes shape on morphologic creatures, his practice includes primordial rituals in a cyber context. He plays with universal concepts such as space, power, balance, time, uncertainty, human-being essence and the urgency to establish genuine relationships. Concerned with evolution, Renteria’s work analyses present time, from which emanates questions about the soul and the planet’s destination. Martin Renteria is the director and curator of the Mexican performance art network TRANSMUTED, presenting festivals and educational programs in various cities in Mexico and abroad. At the VENICE INTERNATIONAL PERFORMANCE ART WEEK 2014, Renteria presents the new performance Erosion - Entropic Action. The performance questions our relation to the surrounding, speaking about the struggle with our everyday conflicts and the quest to bring harmony into our lives. 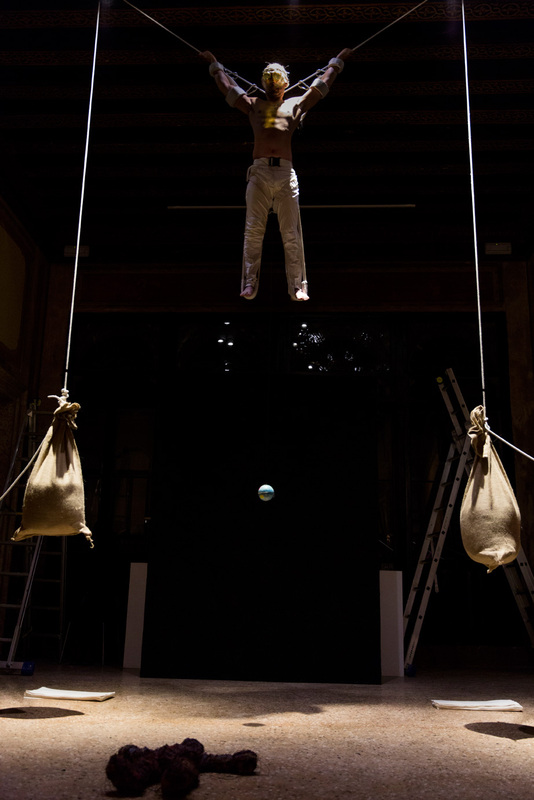 Martin Renteria | TRANSMUTED Network curates the Mexican artists at the VENICE INTERNATIONAL PERFORMANCE ART WEEK 2014.